We’d love your help. Let us know what’s wrong with this preview of The Grand Gypsy by Ottavio Gesmundo. What do Adolf Hitler, Mahatma Gandhi, and Ed Sullivan have in common? Ottavio Canestrelli crossed paths with each. He performed with the Krone Circus in Italy and Germany from 1922 to 1924 on the eve of Hitler's rise to power; he witnessed a rally for Mahatma Gandhi in India in 1931; and he appeared twice on the Ed Sullivan Show during the 1960s. 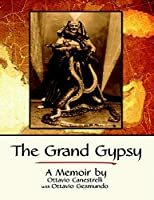 In The Grand Gypsy, Canest What do Adolf Hitler, Mahatma Gandhi, and Ed Sullivan have in common? Ottavio Canestrelli crossed paths with each. He performed with the Krone Circus in Italy and Germany from 1922 to 1924 on the eve of Hitler's rise to power; he witnessed a rally for Mahatma Gandhi in India in 1931; and he appeared twice on the Ed Sullivan Show during the 1960s. 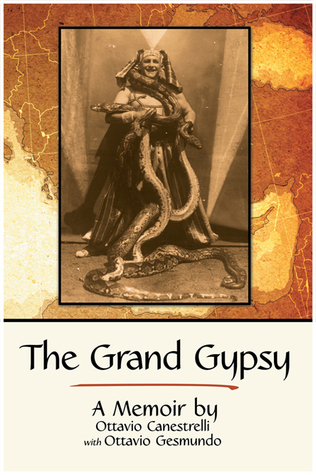 To ask other readers questions about The Grand Gypsy, please sign up. Fantastic book that takes the reader back to the first world war and the history of a family in the circus. Okay, to be fair, it starts out in the 19th century with the out of wedlock birth of Ottavio Canestrelli. His grandson, Ottavio Gesmundo, has done a marvelous job polishing up one of the greatest memoirs of all time. You like the circus? Read this! This book is packed full of some of the most exciting and outrageous circus stories ever told. It even has pictures to back up the stories, without which you may not believe the stories being told. It blew my mind that one man lived so many adventures. I love to read biographies and I'm in the circus, so this book was tailor-made for me. It is perfect for anyone seeking adventure. Once you start, you won't be able to put it down. I am very excited to read my first Giveaway book once I receive it. From the discription of the book, it includes several genres that I enjoy reading; history, memoires, and war history. Amazon Revue by Michael Davies. A remarkable memoir. The arc of Ottavio Canestrelli’s life is nothing short of epic – spanning several decades “under the big top,” running from German troops, encounters with cannibal tribes, and performances on Hollywood sound-stages. As a gypsy, Canestrelli’s approach to living in this world clearly was outside of the mainstream. H Amazon Revue by Michael Davies. A remarkable memoir. The arc of Ottavio Canestrelli’s life is nothing short of epic – spanning several decades “under the big top,” running from German troops, encounters with cannibal tribes, and performances on Hollywood sound-stages. As a gypsy, Canestrelli’s approach to living in this world clearly was outside of the mainstream. He relentlessly pursued the art of the circus act, boldly and successfully reinventing himself several times over, from gymnast to animal handler to circus owner to restaurateur. Yet rather than rejecting society, this gypsy and his circus family unquestioningly embraced years of mandatory military service, taking direct fire and seeing combat up close, only to jump back in to training for the next act. As a non-circus performer, I was struck by the utter lack of doubt in his life’s path. It’s not until Canestrelli’s twilight years that he even acknowledges the uncommon nature of his vocation and the rare community of performers he was a part of. During this period of introspection, we also learn that he hoped his life in this industry would serve as a vehicle for his family and friends to do the same—even if some did not wish it for themselves. Considering the number world records, medals, and accolades scattered over the Canestrelli dynasty, he appears to have been successful.